Orthodox Christians worldwide are part of the analytical, operational, ethical, and empirical debates and discussions of humanitarianism. Yet, there is a significant lacuna regarding Orthodox Christianity in the emerging literature on religion and humanitarianism. 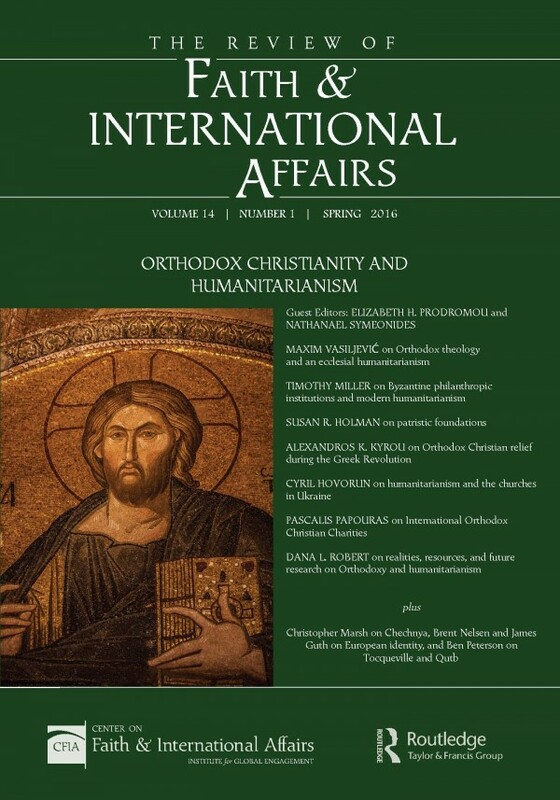 As response to this gap in the scholarly and policy literatures, a colloquium brought together practitioners and scholars in the spring of 2015 to explore the theological resources and institutional experiences of Orthodox Christianity in comparative contexts and cases of humanitarianism. Select papers are published as a special package in the spring 2016 issue of The Review of Faith & International Affairs.